At last, the moment we’ve all been waiting for – or at least the moment all the Clock Opera fanboys and I have been waiting for. 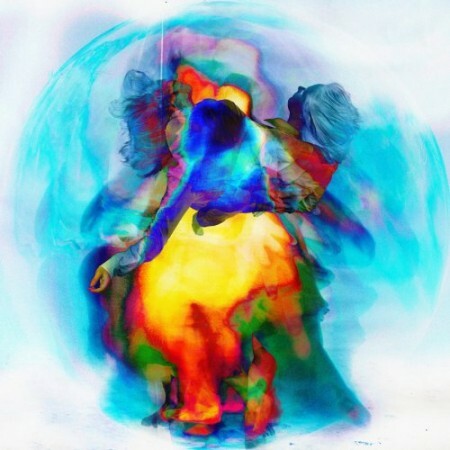 Clock Opera have announced their debut album, called ‘Ways To Forget’ a) exists and b) will be coming out on April 9th. This is very exciting news. As usual, I have to thank my favourite label in the world, Kitsuné, for getting me into the band in the first place. Clock Opera were on a comp album that I reviewed way back in 2010 for Culturedeluxe, and from that point on I’ve just been waiting and waiting for this news to come! I sort-of called it with my look ahead to 2012, but unless the band were planning to pump out a whole album worth of singles and not actually release an album, then it wasn’t much of a leap to see an album coming out this year. But for now at least we have a date to write in the diary, as well as waiting for April 28th (when they get round to playing in Oxford for only £7.00!). Big things await for these boys. So in the meantime, to satiate our collective appetites, here is the insanely excellent video for one of their singles last year, ‘Lesson No. 7’. Have a goosey. Well, this horse can be a bit pernickity about remixes generally. These days it seems pretty easy to slap a bass wobble on a track and think of yourself as some kind of magician. But don’t let this fool you, when a remix is done right, it is a beautiful thing. So today we have something insanely charming and wondrous for you. 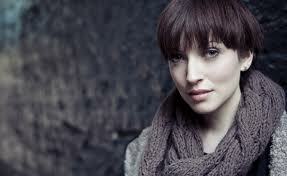 A sweet, warming, fulfilling remix of the brilliant Daughter. I stumbled across their stuff (it’s effectively two people) on the Bandcamp website last year. They make blindingly beautiful, timid and delicate sounding music. I then got a chance to see them live while reviewing a Benjamin Francis Leftwich gig in Oxford. The lead singer has this wonderfully endearing shyness, but unfortunately the venue and the noisy / disrespectful crowd managed to overpower them. But here is a remix full of verve, electricity, and it just gels together so well with the original track. It’s just brilliant. Have a listen below. Ahhhh, Bwani Junction. Supposedly, tomorrow (the 3rd Monday of January) is officially known as the most depressing day of the year. To help lift the prospect of that gloomy possibilty, this horse has just gone and bought Bwani Junction’s excellent 2011 debut album, ‘Fully Cocked’. After using up most of the monthly-10 hour Spotify limit gorging on their beautifully crafted, sunshine-filled songs, there was no other choice but to properly posess it. Drawing comparisons is a bit of a challenge too. Being Scottish, you’d love to be able to spot some Scottish based musical-geographic reference points, but it’s the lightness of being and warmth in their sound that means you have to search further ashore than that. The afrobeat sounds can lead you to Cape Cod and Vampire Weekend (as much as the band may not be too keen on the reference), the political sharpness of a track like ‘Today’s Crusade’ sends you to to New York and Ted Leo.. But pidgeon holes are for pidgeons, and these boys are no flying rats. They are more like Fulvous Whistling Ducks (stay with it), in that they are native to warmer climes, have a cool name (a take on the John Masters book Bhowani Junction) and are noisy birds with a clear whistling kee-wee-ooo call (wasn’t that worth it?). On a purely sonic basis, they just sound absolutely spot on. Any band that doesn’t make the listener strain to have to hear the bass guitar get a big thumbs up, especially when the base is as key as it is here. The guitars fret around merrily, the drummer has a set of bongos on his kit (judging from the aformentioned live clip). Lead singer and guitarist Rory Fairweather has an enjoyable vocal sound, retaining the Scottish accent but still melding in with the Afro-Caribbean sounds. That doesn’t sound like something that should work, but with this band, it just does. They first crossed this horses radar from footage of the BBC Introducing Stage at last year’s T in the Park Festival. The music they make is so infectious, it’s reminscent of Two Door Cinema Club. At least, you could easily see their paths following suit. TDCC chucked out their debut on Kitsuné without making much of a big splash, but that catchyness and brilliance meant that gradually, the whole world picked up on them. 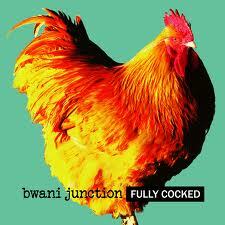 So with Bwani Junction’s debut album, ‘Fully Cocked’ being snuck out at the back end of 2011, it could easily grow and get bigger and bigger as the year goes on. Hopefully a few festival slots will help that along too. But for the time being, for those too lazy to push anymore buttons, here’s my favourite track from the album, ‘Roots Too Deep’.